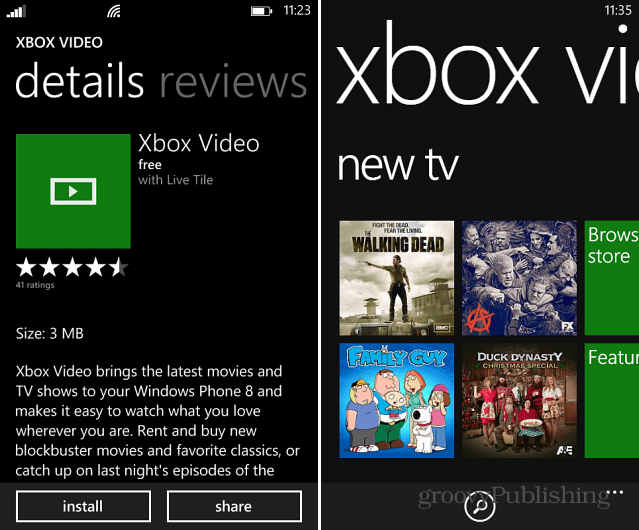 Microsoft announced that a new Xbox Video app for Windows Phone 8 (WP8) is available. It also released an Xbox Music preview app for Music Pass subscribers. Microsoft announced on Wednesday that a new Xbox Video app for Windows Phone 8 (WP8) is available. It allows you to stream movies and TV from the cloud or purchase the media and download it to your device. 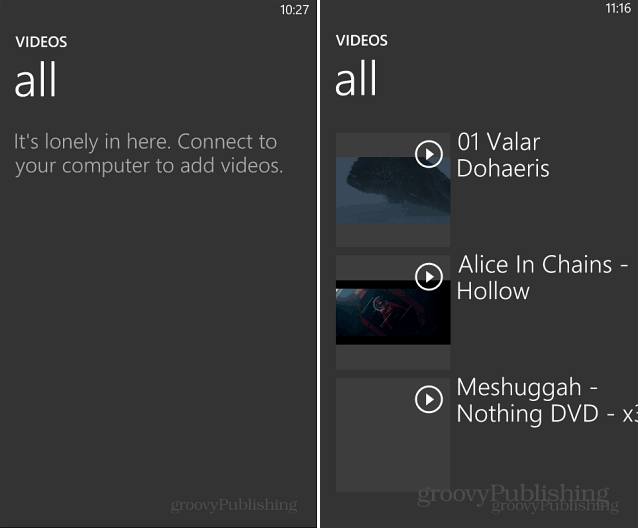 Currently all multimedia was sort of combined in to one tile on WP8. You would tap the Music+Videos tile and there have access to music, podcasts, and videos. 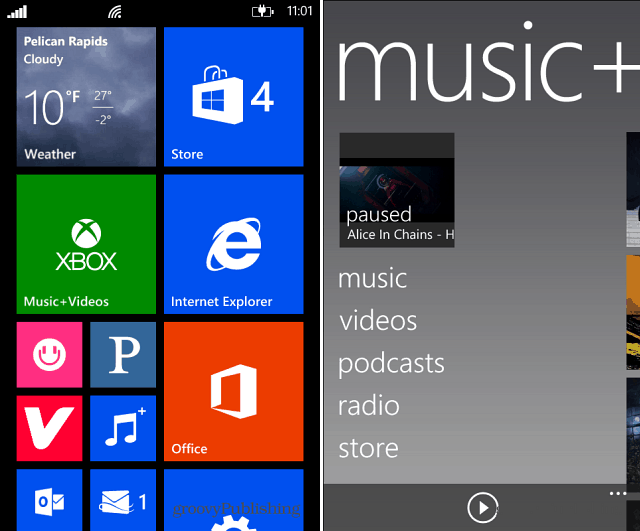 Note: Microsoft also has a preview of an Xbox Music app for WP8 available for Music Pass subscribers. Weirdly though, you needed to manually connect your phone to your computer and drag your videos over. Of course you can watch them from SkyDrive, via IE, or through other apps. 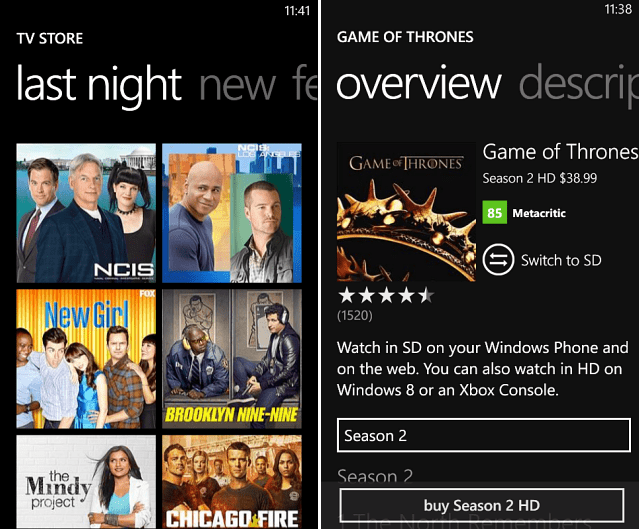 You can download the Xbox Video app for WP8 through the Windows Phone Store. Once you launch it you’ll be able to browse through a surprisingly good collection of TV and movies. Like other video services, you can purchase individual movies or TV shows, get season passes, and create video playlists. One thing to note is while you can purchase HD content, you can only watch it in SD on Windows Phone right now. It’s also worth noting that the company announced a new web store at XboxVideo.com. The web interface looks a lot like web version of Xbox Music that we covered earlier this year. I’ll be testing this out more this week and over the weekend and follow up with anything of interest. If you try it out, leave a comment and let us know what you think!